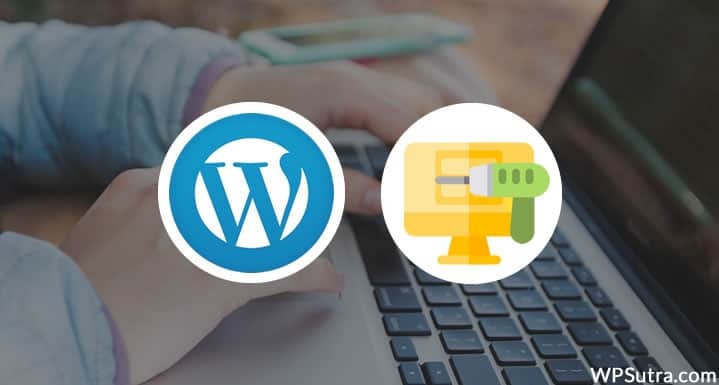 Do you want to start a WordPress website or have an exquisite idea for launching a new product or service? Then why not start capturing leads during the pre-launch stage? The pre-launch stage is a perfect opportunity for branding, social sharing, and capturing leads. By putting up a “maintenance mode” or “coming soon” page up on your site, you can highlight specific features and encourage visitors to sign up for launch notifications. There are various WordPress themes and plugins available which you can use for putting up one of these pages. In my previous post, I have already covered popular WordPress “maintenance mode” plugins which you can use. Here, I have covered some free and premium WordPress themes to show a “maintenance mode” or “coming soon” page on your website. If you are looking for a pre-designed template, then this list of themes is for you. Go ahead and download the one that you like the most. 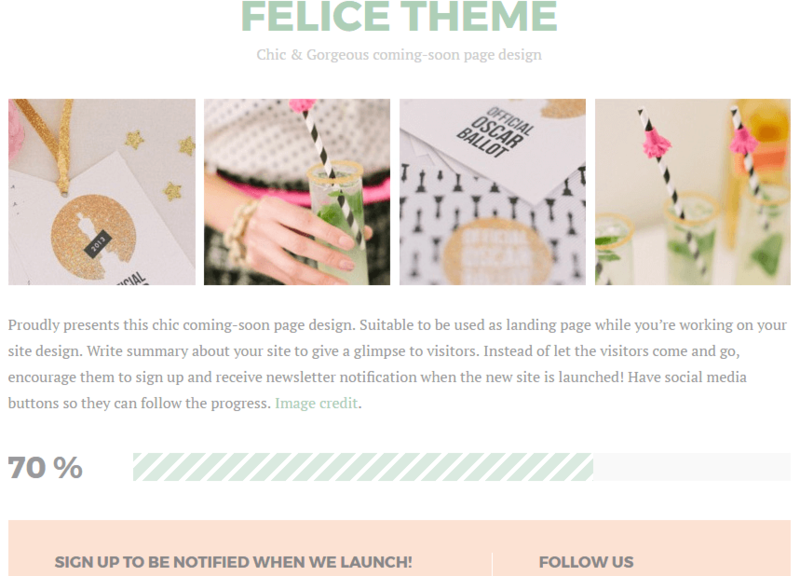 Felice is a fabulous theme that you can use before finalizing your website. 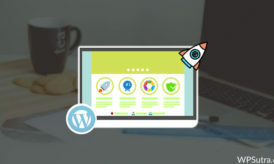 The theme comes with focussed visual elements like a signup form and social media buttons that will keep your audience hungry for site updates. 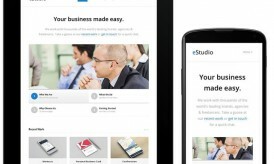 The theme is completely free to use and fully responsive. 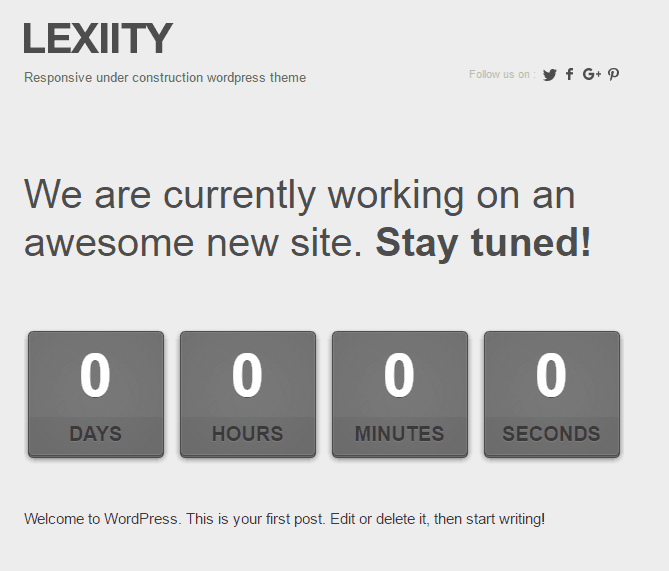 Lexity is a free and responsive “under construction” WordPress theme that comes with a timer on the home page along with various social icons. A newsletter signup form is also integrated into the theme so your visitors can sign up for the latest site updates. 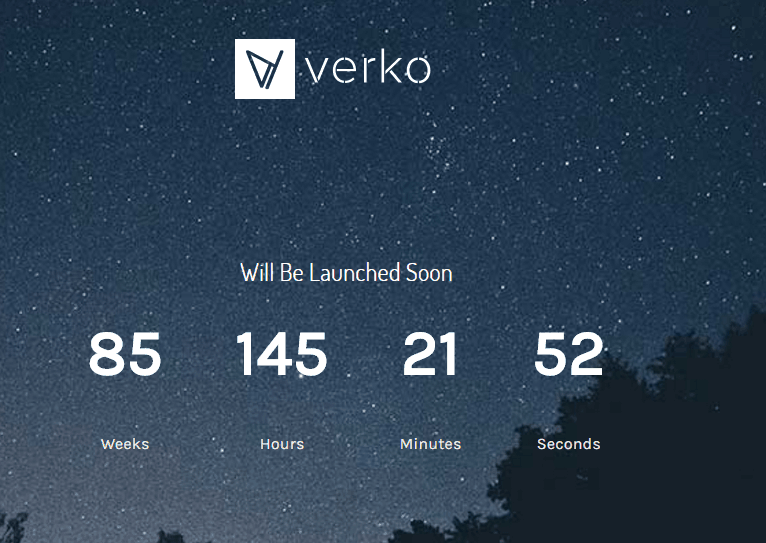 Verko is an appealing “coming soon” WordPress theme. It is completely focused on marketing your products or services with landing page templates and encouraging visitors to sign up for your services with calls-to-action. The theme has a countdown timer on the homepage which you can set according to your website launch schedule. Avada is a great theme that includes blank pages so you can build awesome stuff like a “maintenance mode” page or a “coming soon” page. It’s the #1 selling theme on the web and requires no coding knowledge at all. The theme has over 300,000+ satisfied customers and comes with unlimited designs, responsive framework, and dedicated support. Fusion Core Plugin that includes Fusion Builder, Shortcode Generator, MegaMenu, Fusion Slider, and more. Best Coming Soon WordPress Themes: Which one you going to use? 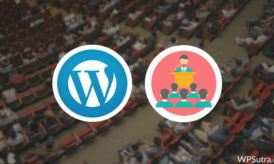 The list could be endless as there are many more of these themes in the WordPress directory. Here, I have only covered the most popular themes that are the most recommended by users. I hope the above list of themes will help you to launch your site successfully. I would love to hear your thoughts on this list and let me know which one you are using for your website. Also, do share with us some pre-launch tips that you have applied on your website!